GREENVILLE —The Darke County Center for the Arts 2015-16 season — themed “VOICES” — promises a mix of music, comedy, theater and fun for the whole family. “DCCA is very excited to be presenting our 2015-2016 VOICES season and thanks the community for its continued support of our mission to encourage cultural enrichment and the arts in Darke County,” said Andrea Jordan, executive director of DCCA. Tickets for the entire season go on sale July 1. July 17: Kicking off the calendar is the first fundraiser — and fun-raiser — of the season, Barbecue & Blues, at Turtle Creek Golf Course beginning at 6:30 p.m. The Doug Hart Band will headline the event and The Green DeVilles also will perform. Doors open at 6 p.m., and admission is $10. July 27-Aug. 1: This year’s Missoula Children’s Theatre Residency will have a new venue this year because of the restoration of St. Clair Memorial Hall. Children in grades 1-12 are invited to audition for the program, which will be at the Versailles Performing Arts Center (located in Versailles High School). Forms to participate are available through DCCA or before auditions. An adult signature is required. There is no cost for children to participate, thanks to sponsorship by the Darke County Endowment for the Arts. Auditions are Monday, July 27, from 10 a.m. to noon. Rehearsals begin July 27 right after auditions until 2:30 p.m., then will be Tuesday through Saturday from 10 a.m. to 2:30 p.m. (depending on role). Performances will be Aug. 1 at 3 and 7 p.m., open to the public. Tickets are $5. This year’s performance is King Arthur’s Quest. Sept. 17: Folk musician Lee Murdock will play at the Union City Arts Depot in Union City, Indiana, as part of the Coffee House series. The show begins at 7 p.m. Tickets are $10. Oct. 4: The Family Theatre performance of “The Lightning Thief” will begin at 2 p.m. at St. Clair Memorial Hall. This musical is adapted from the popular book about Percy Jackson and the mythological world that’s walked straight into his real world. This show is recommended for grades 2-6. Tickets are $5. Oct. 10: Blues singer and guitarist Lisa Biales, dubbed “The Belle of the Blues,” will take the St. Clair stage for the first Artists Series event of the season at 8 p.m. Tickets are $20. Oct. 22: The sister pop duo of Adelee & Gentry will perform at The Coffee Pot beginning at 7 p.m. as part of the Coffee House series. Tickets are $10. Oct. 30-Nov. 1: The second fundraiser of the season is the Ghost Walk, which sets off at 7:30 p.m. on Oct. 30 and 31 and Nov. 1 at St. Clair Memorial Hall with local actors guiding visitors on a historical tour through Greenville. Nov. 15: “Madeline & the Bad Hat” is on stage at St. Clair Memorial Hall for children and the young at heart, based on the popular “Madeline” stories. Tickets are $5, and the show begins at 2 p.m.
Dec. 19: The Glenn Miller Orchestra will perform holiday favorites at St. Clair Memorial Hall beginning at 8 p.m. Tickets to see the most popular big band in the world are $20. Jan. 15: A special night out for the grown-ups is planned at Montage Cafe with the 24th Taste of Wine and Jazz beginning at 6:30 p.m. Tickets are $35 and include hors d’oeuvres, four wine selections and entertainment. Jan. 23: VoicePlay is a vocal theatrical act that recreates orchestral sound with human voices. This comical quintet is appropriate for all ages and takes the St. Clair Memorial Hall stage at 8 p.m. Tickets are $20. Feb. 25: The soulful singer Kristine Jackson steps into the spotlight at The Bistro Off Broadway as part of the Coffee House series. The show featuring a variety of song styles from folk to blues, originals and covers, begins at 7 p.m., and tickets are $10. March 11: The first touch of the Irish before St. Patrick’s Day will feature musical guest Lone Raven on the Montage stage, with Irish music, food and craft beers for the tasting. Tickets for Irish Wave are $35, and the event begins at 6:30 p.m.
March 31: The Coffee House series moves on to the Arcanum Historical Society with folk singer Sarah Goslee. Tickets are $10. April 3: It’s another treat for the kids with “Moon Mouse: A Space Odyssey” on the St. Clair stage. Lightwire Theatre takes the stage at 2 p.m., and tickets are $5 . 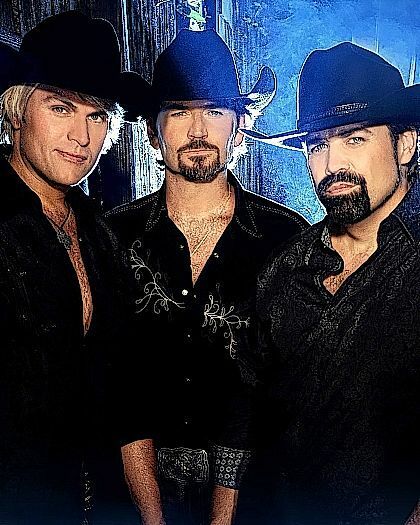 April 16: DCCA presents its special event of the season – The Texas Tenors. The trio made a splash on TV’s “America’s Got Talent” and has gone on to become a popular act performing across the country. The show begins at 8 p.m., and tickets are $35. April 21: Ohio musicians Noah & Alex wrap up the Coffee House series at Montage Cafe with a performance encompassing R&B, soul and blues, beginning at 7 p.m Tickets are $10. May 14: The Toledo Symphony Orchestra will again close the DCCA season, this time with a night showcasing “The Music of Rodgers & Hammerstein.” Tickets are $30.